A mom from Texas and dad from New York have joined forces to create awareness about the signs and symptoms of type 1 diabetes in an effort to save the lives of children and adults being diagnosed at death. Let’s save lives. It's time to Get Diabetes Right. We've watched the media portray diabetes incorrectly; lumping type 1 and type 2 together and slapping two diseases with one label: DIABETES. We've all heard the references about losing weight, eating too much sugar, and needing to exercise. The reality is that children, otherwise healthy children, are being diagnosed with type 1 diabetes at alarming rates. This disease is chronic; a child will not outgrow his/her type 1 diabetes. No amount of healthy eating, exercise or lifestyle changes will change the fact that a person with type 1 must take insulin for the rest of their lives or they will die. These children grow into adults; a community of otherwise healthy adults that still take insulin or they will die. There is another group of children; otherwise healthy children: those that die from undiagnosed type 1 diabetes. This diagnosis of diabetes at the time of death happens because parents, the school nurse and even pediatricians dismiss the child's symptoms as the flu or a virus, the child goes into DKA (diabetic ketoacidosis), becomes lethargic, is nauseated, loses weight, stops eating and dies from blood sugar that just continues to rise causing all of these symptoms. 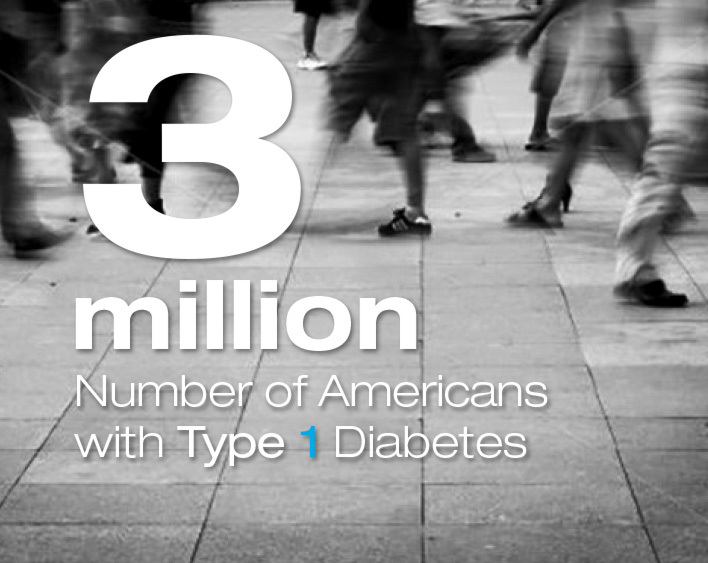 The general public isn't aware of type 1 - the autoimmune diabetes. This diabetes creeps up on babies, young children and adults. It strikes healthy kids that jump on trampolines, play sports and get more than enough daily exercise; it can also be diagnosed in adults; type 1 diabetes doesn't care. Type 1 does not occur because a person is overweight or ate too much sugar. Too many times, this diagnosis of type 1 diabetes at death occurs because so many overlook the possibility and warning signs of diabetes. A child dying this way is unacceptable. Period. We recognize that type 2 diabetes is also a serious disease with many contributing factors leading to diagnosis. Get Diabetes Right is a type 1 diabetes awareness campaign to help people realize they are different. It's our hope that creating that breaking our stereotypical understanding of "diabetes" will save the lives of children and adults being diagnosed with type 1 diabetes at death. It's time to Get Diabetes Right.